Milla Jovovich responds to the news of an apparent reboot of the Resident Evil franchise currently in the early stages of planning. Resident Evil: The Final Chapter, the sixth and final installment in the video game movie franchise came out in January of this year and has just been released on Blu-Ray and streaming services. With all of that being said, it was announced just this week that the franchise is already in the very early stages of a reboot to cash in on the massive success of the original six Resident Evil movies. But is money the only motivation to reboot a franchise that literally just ended a few months ago? Constantin Film announced their intentions to reboot the Resident Evil franchise with six movies unrelated to the characters that have appeared in the previous six movies, which came as a huge surprise to fans. ComicBook reports that fans weren't the only ones caught off guard by the reboot news. When ComicBook asked Jovovich about the news she didn't seem to believe it at first. Read what Jovovich had to say below. "They've announced a reboot? Okay, well good luck with that. I think a lot of people with these franchises kind of put the cart before the horse. There's a danger to that. They've been wanting to reboot Resident Evil for a long time, and listen: I love the Resident Evil world. I think it's a great property, I would do it if I was a producer. I think what made Resident Evil so special is that the people involved really loved what they're doing and really were fans of the game." While caught off guard by the question, Jovovich went on to add some advice to anyone going in to reboot the beloved and insanely popular Resident Evil franchise and quite possibly any franchise for that matter. Jovovich explains. "I would suggest that you find people that have that same passion for the property before you talk about reboots. I think if you get into this kind of genre, people are very sensitive to fakes. There's some real fans in the sci-fi/action/horror world, and they're not idiots. They can smell when something is done because people love it and when something is done just to monetize an opportunity." 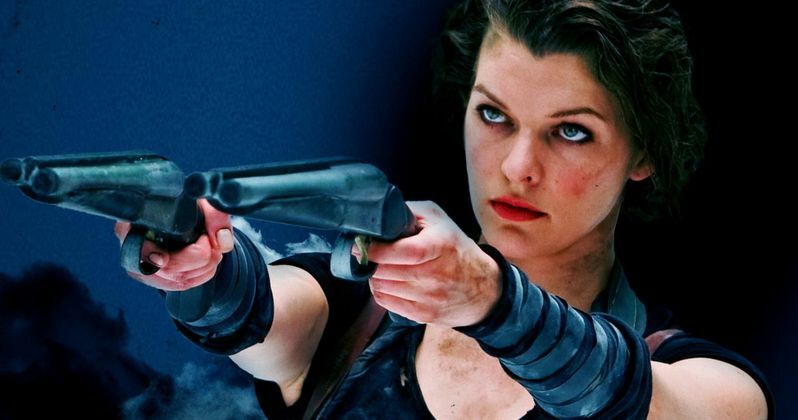 Jovovich's love for the franchise is still intact and she points out that money can't be the final deciding factor to reboot a project while also implying that the idea of a reboot has been kicking around for a while. But she also points out that the previous team were "really fans of the game," which comes off a little strange since a lot of fans often complained that the movies strayed to far away from the video games. Milla Jovovich has every right to be protective over a franchise that she has spent 15 years of her life on, but this just seems to be the not so-new landscape in Hollywood these days. Reboot, remake, cash-in. Though this may be the new landscape, Constantin Film could have waited and let some time go by before going and announcing its intentions to reboot a series that is still very much in the public eye. Constantin has shared little else besides its intentions to reboot besides the fact that James Wan (Aquaman, The Conjuring) is attached to executive produce at least the first installment of the new project. Hopefully they heed some of Jovovich's advice and go after something that the fans will enjoy and not just to make a quick buck.